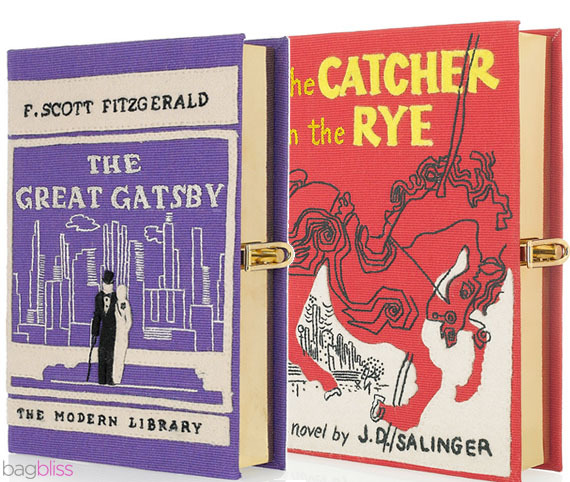 Have you ever lusted after the lovely book clutches by talented designer Olympia Le-Tan? I love browsing net-a-porter's website and have been tempted on many occasions by the outstanding designs. Thankfully for my wallet, the practical side of me has thus far triumphed over my impulsive, shopaholic side. I love big, roomy bags, which is why I hardly purchase clutches that can fit nothing else other than a mobile phone and some cards, unless of course, they are reasonably priced. Then one fine day, when I was reading Karen's blog, I found out about this wonderful site called My Jotter Book that stocks gorgeous book clutches at pocket friendly prices! I couldn't resist buying a couple of them at a go, and at just S$89.90 a pop for an exclusive, well-made clutch, it is not hard to see why. In this post, you will see the first book clutch that I decided to bring out with me for tea at Loysel's Toy. 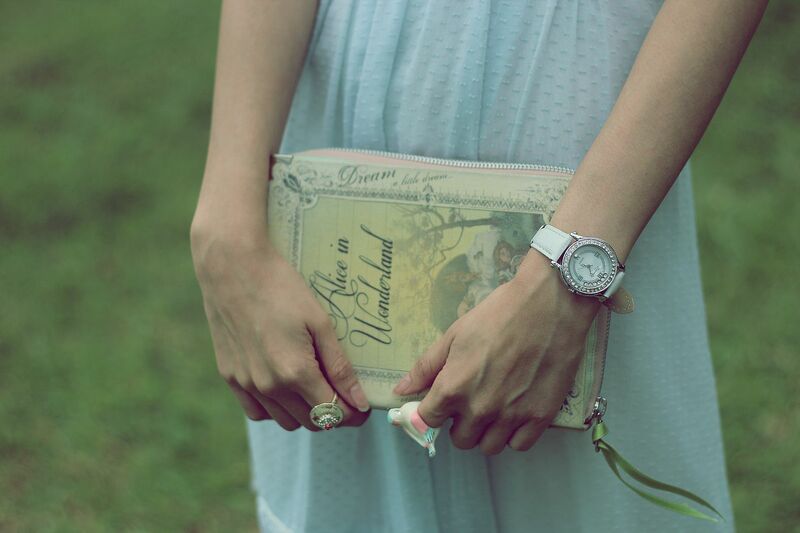 It had to be the whimsical Alice in Wonderland clutch. The clutch bag is roomier than I thought. It fits my mobile phone, cards and cash, along with necessities such as my eyedrops, falsies glue, lipgloss, among other knick knacks! Unfortunately, the Alice in Wonderland clutch is currently sold out, but you'll be happy to know that the lovely girls at My Jotter Book have opened up a backorder till 26 May for this here . I like these book clutches so much that I've been using them during the weekends. They're the perfect accessory to any outfit and match my vintage dresses beautifully.